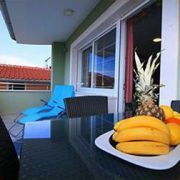 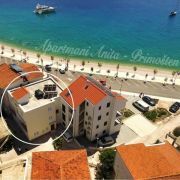 The apartments of Pancirov family are located in Primošten, just a few dozen meters from the sea and pebble beach … More » . 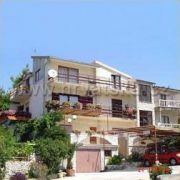 Apartments on the first floor have a view of the street, apartments on the second floor overlook the sea. 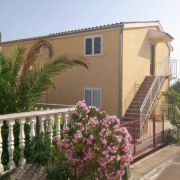 The apartments are ideal for four-member families.